Picked this one up for a good Price. Nakamichi BX-300, Idler Tire version. Heads look fantastic, Pinch rollers average. It was advertised as a unit that plays for 5 minutes but then kept stopping after. Checked it out, replaced idler tire and to my horror the problem persisted. 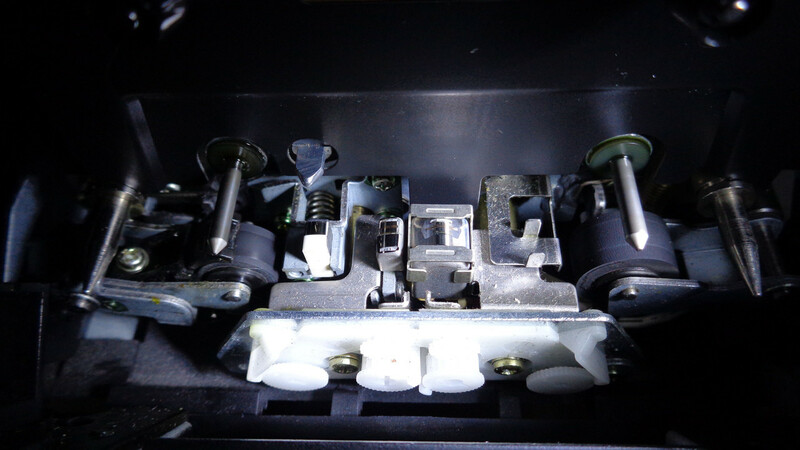 It came down to the reel motor having dead spots, it would not maintain torque at the playback take up speed. 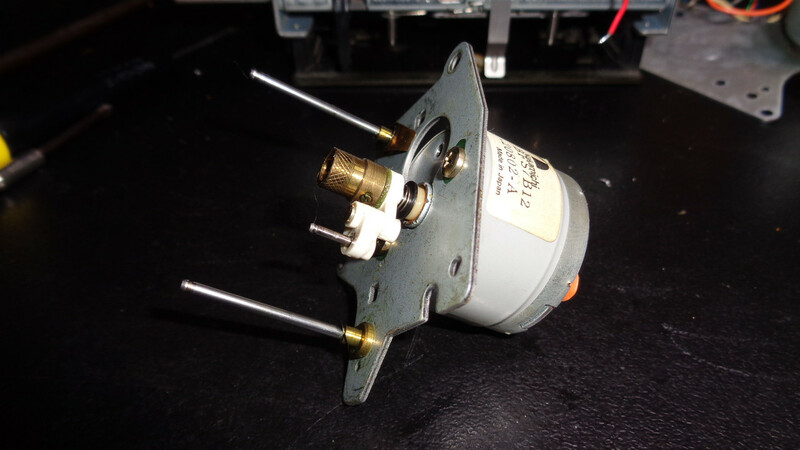 The motor in my BX-1 parts deck looked similar so I swapped it out, the problem disappeared. 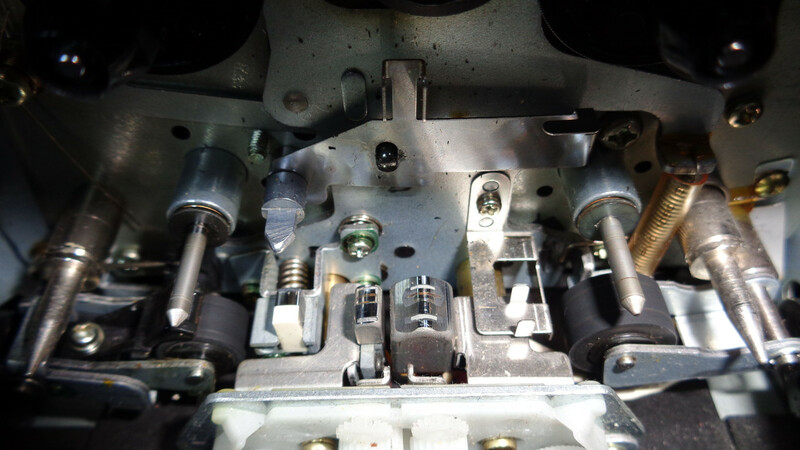 To do this, the direct drive motor board, capstans and capstan bearing plate needed to be removed just to access the last screw holding the reel motor mounting plate. A first for me, a good learning process and quite a few F-Bombs dropped during the process. 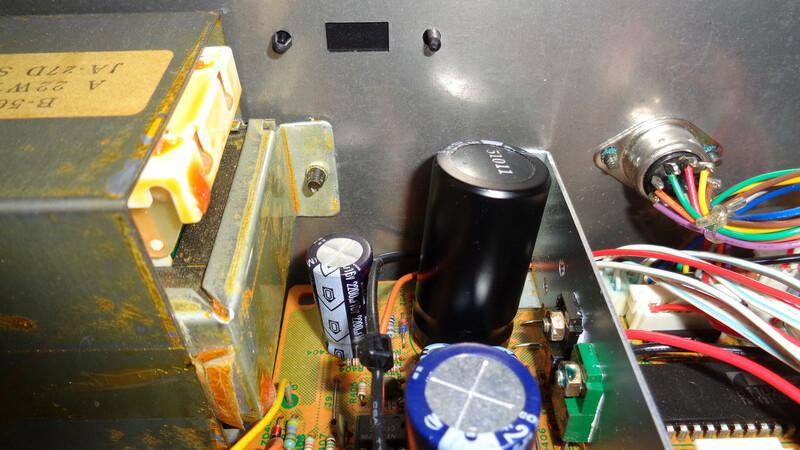 1 Swollen Capacitor had to be replaced, and a full recap is planned for the power supply once I get them ordered in. Rest of the deck has been lubed and serviced, new capstan, back tension belt, idler. Capstan bearing and reel tables cleaned/lubed. Speed calibrated, Azimuth is perfect, no need to adjust after final tests. This unit is a real cracker, dare I say it has a slight edge over my Gear Driven BX-300 model, but not by much. The sound is just incredible! I do like the Idler tire version slightly better as the winding is very quiet, no whining of gears during Rewind/FF. The only catch is the tire has to be replaced every 5-10 years. - Played by the BX-300, Sony XR 60 Metal Tape. Recorded in my other BX-300. You've been a busy feller Darcy. How do you like the PC based test program? Play that through your K's Lee!!! Well it certainly does a good job!
. Oh it has D2, MANY TIMES!! What else besides wow and flutter will it do? That's it, its sole purpose. I think it was written by Ant Audio who does the chip mods for decks. 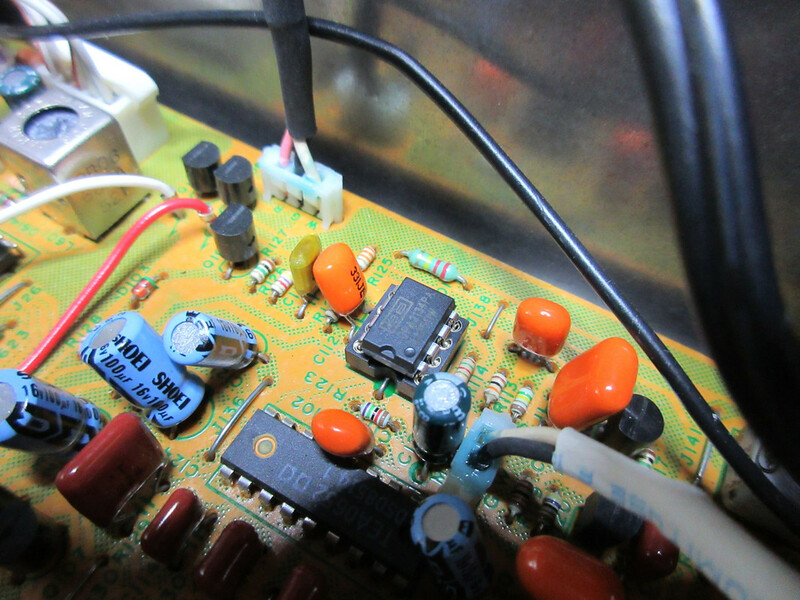 Replaced Line Output Stage OP Amp with Burr Brown 2227, as well as orange caps surrounding with Wima Film Caps. This will really transform a BX-300 if the transport has been serviced well. Since then, a 3rd BX-300 unit came along, a 240 volt model with idler tire transport. It has had all caps replaced including wima film caps to replace orange caps. Burr Brown 2134a OPamps have been installed. 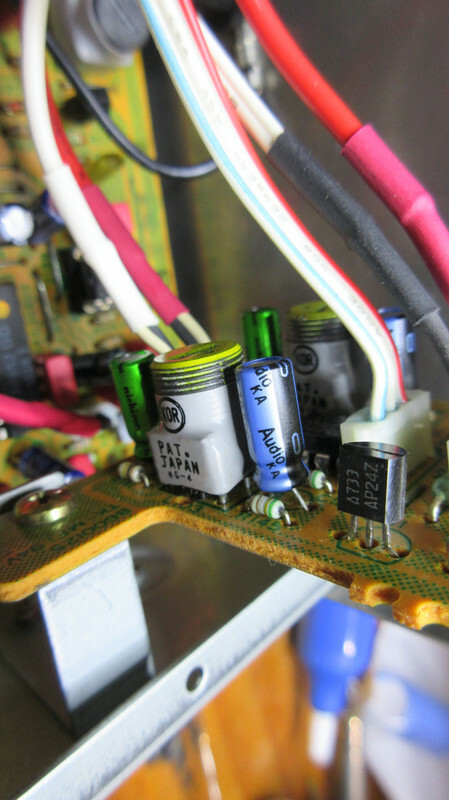 I decided to try some Nichicon Muse Audio caps in the line output section, 6 of them replaced in 2 sections of the mainboard. They sound fantastic, I will add more audio caps in that section, might be more room for improvement. Those are some vivid photos. Whatcha using? 20 megapixels is much better, and I used to use floppy disc Mavicas. Back to BX-300 the 2nd, I thought I had put the 100v/0.1uf film caps between supply pins of OP amps, turns out I had not. 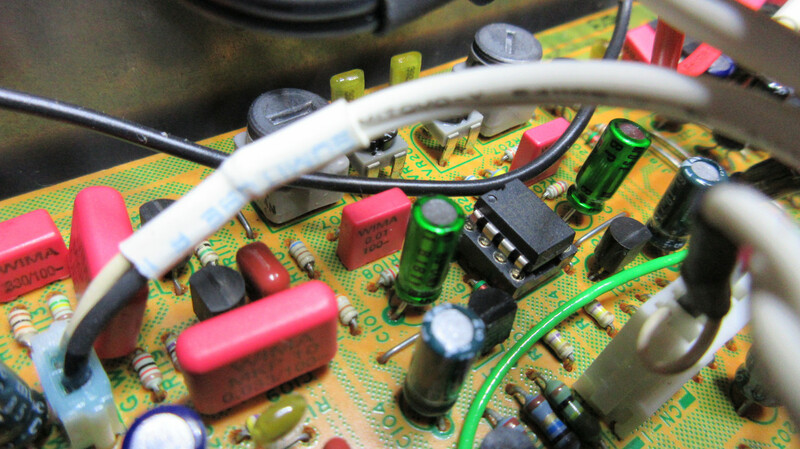 The main plan was to replace the caps in the line input section with Nichicon Muse Caps, plus C101 and C201 in line output section. Replaced the two film caps in power supply section while I was at it. C101, C201 (Green Nichicon Muse Caps) same as what I did with BX-300 the 3rd. Need to order more Audio Caps to complete this. 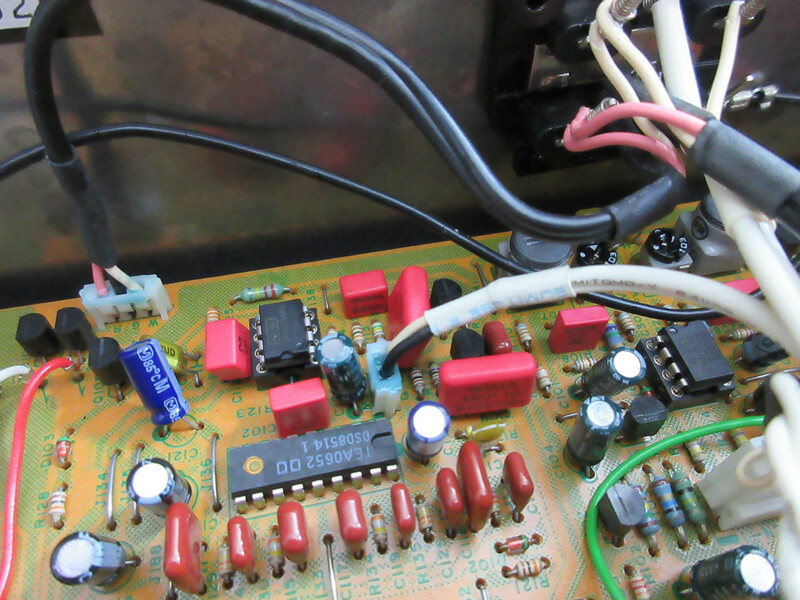 BX-300 the 1st hasn't had the OP Amps done in it yet, so there is plenty of work to do. All 3 decks sound great and get better the more I do to them. 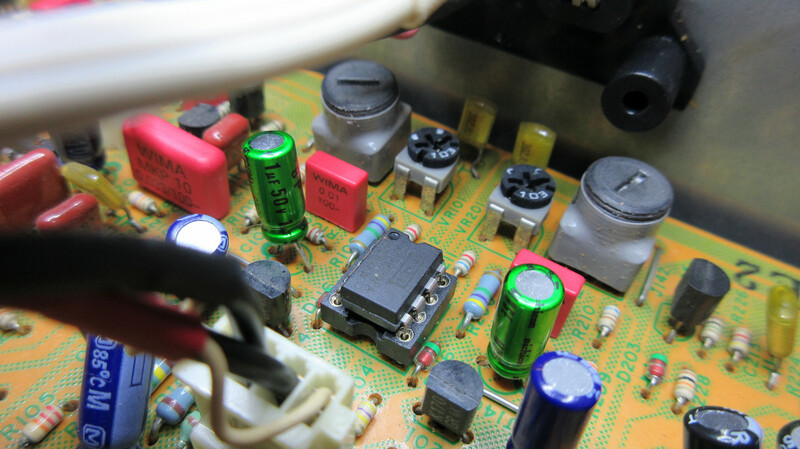 With the Line Input Section, what is a suitable OP Amp to replace the JRC 4558DD? I was considering NE5532 or OPA2134 but not sure of compatibility with voltages etc. Can anyone shed some light on this please?